"We're working hard on a new music service"
Virgin Media has spoken to TechRadar about the recent rumours it is to partner with Spotify, saying that it is "working hard on a new music service". It neither confirmed or denied that its music service would involve Spotify but it does sound as if Virgin Media's music offering would be a major player in the market. "We're working hard on a new music service and are in very encouraging and progressive talks with both major and independent labels," said a Virgin Media spokesperson. "Our focus remains on providing a compelling music service for both consumers and industry and we're developing a proposition that promises to be a truly attractive alternative to illegal file-sharing." 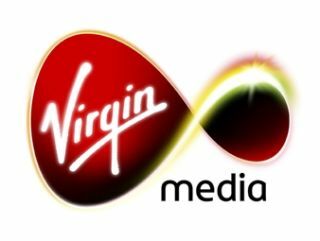 The Virgin Media music service has been gestating for a few years now. In 2009 it announced plans for an all-you-can-eat music service but only Universal signed off on the idea. It's not clear whether Virgin Media has managed to entice the labels this time around, which would mean that a deal with Spotify would make total sense – as this would bypass any need to get the fickle music bigwigs on board. If a deal between Spotify and Virgin Media does indeed go ahead (and the Guardian is reporting that it is all-but done) it will be interesting to see how much of a dent the combined service would make in the music market. Currently Sony is pushing hard with Music Unlimited, but there's plenty of other – Sky and its Sky Songs included – that have fallen by the wayside.